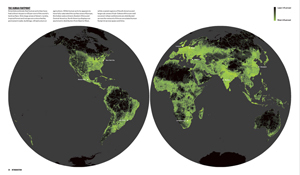 In 2050, over three quarters of the world’s population will live in cities. 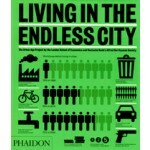 'Living in The Endless City' is the follow-up to Phaidon’s successful The Endless City and takes a close look at the issues that affect cities, and thus human life across the globe in the twenty-first century. 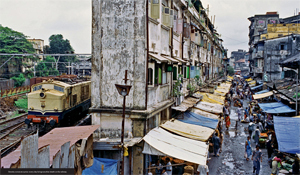 Based on a series of conferences held by the London School of Economics, Living in the Endless City examines Mumbai, Sao Paolo and Istanbul through a series of essays by global scholars and thinkers, photographs illustrating key aspects of life in the three cities, and compellingly presented analytical data. 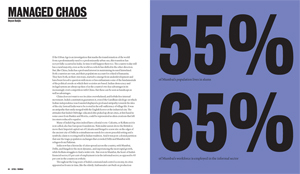 An authoritative text written by esteemed thinkers from all around the globe, under the leadership of Ricky Burdett of the London School of Economics and Deyan Sudjic of the Design Museum, London. 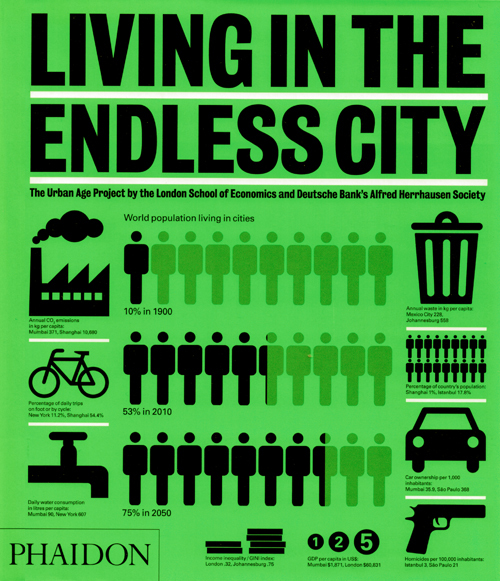 Focuses on Istanbul, Mumbai and São Paulo, with essays and data on vital themes including security, climate change, democracy and globalization in these three cities as well as the six featured in The Endless City: Berlin, Johannesburg, London, Mexico City, New York City and Shanghai.